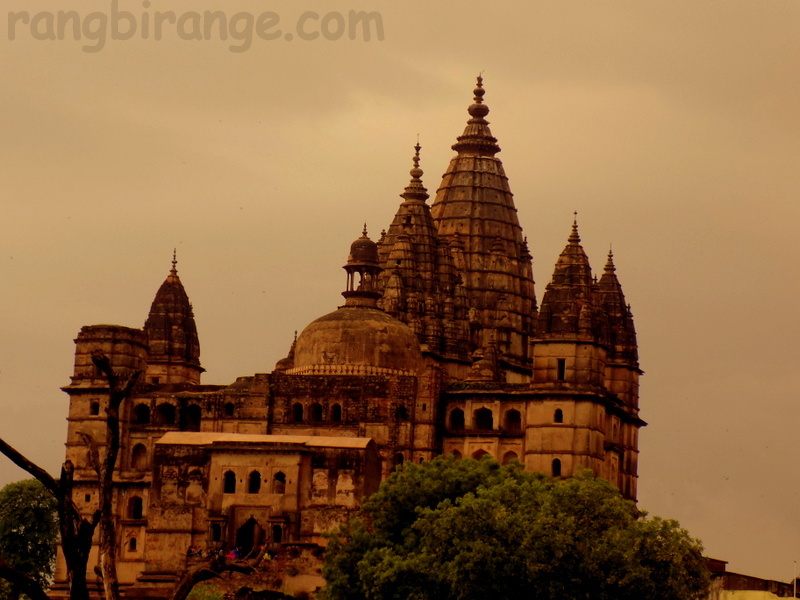 The earthy-coloured structure stood magnificently against the dark skies on a misty rainy day, when i visited it. The temple in the sleepy town of Orchha, which was built for lord Rama, eventually became the abode of lord Vishnu (Chaturbhuj is another name of Vishnu). In a very ruined state, the temple looks every bit ancient, with its interesting bundela hindu architecure. An interesting characteristic of the ambience here is seeing village women in rainbow hued saris perched on the steps of the temple. While Betwa river flows silently in the backdrop. thnks a lot. but can u write tht in ENGLISH? dont understand this language…. would have loved to see a click which covers a wider angle, maybe with the river and the ladies on the banks…!!!! just a thought…!